The mission of CAPIC is to identify and address the needs, problems and concerns of those in poverty and to enable the individually poor to achieve and maintain self-sufficiency. In fulfilling its mission, CAPIC will actively stimulate the creation and promotion of the processes and programs necessary to identify and eradicate poverty. 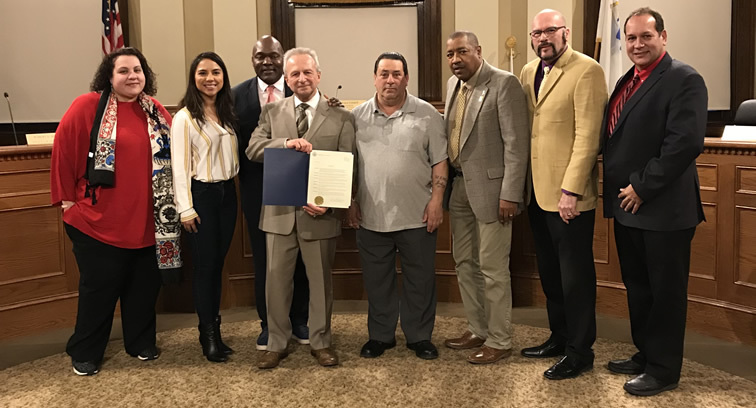 Dear Friends CAPIC's Executive Director, Robert Repucci, was honored by the Chelsea City Council for his 47 years of service to the City of Chelsea and those in need. Dear Friends Thanks to the thoughtfulness of Luis Tejada and the wonderful people from Century 21 Realtors, CAPIC and Executive Director Robert Repucci were recognized by the Boston Bruins Foundation last evening at the game against the Flyers. CAPIC was highlighted on the scoreboard for our work and the Executive Director got the ride of a lifetime on the Zamboni! Thanks again to Luis Tejada and Century 21 Realtors. The Community Action Programs Inter-City, Inc. (CAPIC) Board of Directors will conduct the monthly Board of Directors meeting on Thursday, April 18th, 2019 at 12:00 pm. 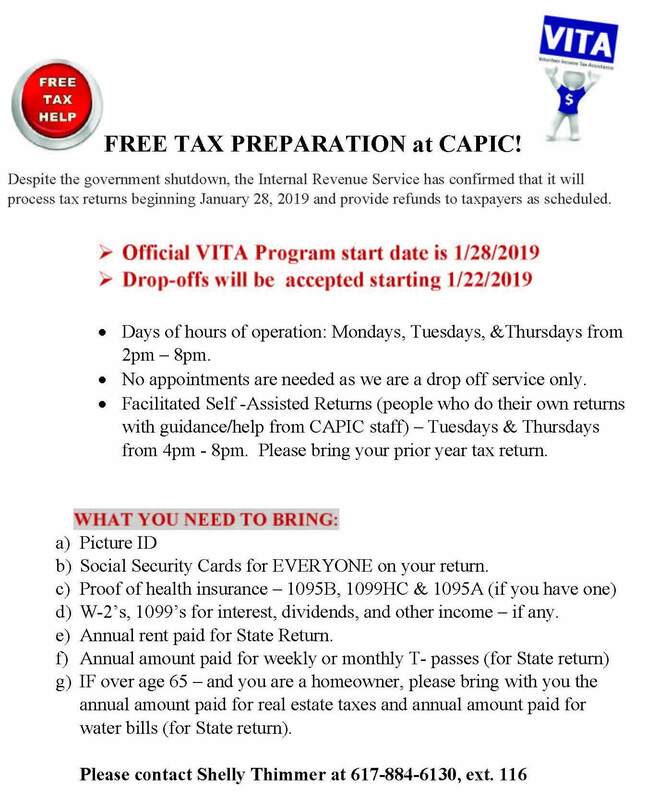 The meeting will be held at CAPIC’s 100 Everett Avenue offices, in Chelsea. The public is invited to attend. 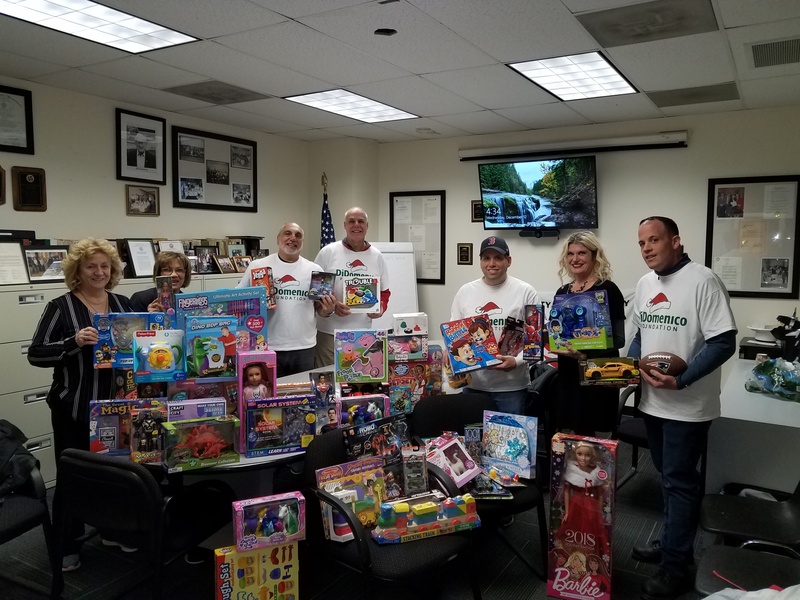 CAPIC would like to thank Senator Sal DiDomenico for his wonderful donation of toys for families in need during this holiday season. We appreciate his on-going support of the local community. On September 27, 2018, the Community Action Programs Inter-City, Inc. (CAPIC) Board of Directors conducted their 51st meeting of the Corporation. The meeting was conducted at the CAPIC After School Program facility in Chelsea. The meeting was attended by members of the Board, staff, and community stakeholders. Elected for a one-year term as President was Richelle Cromwell of Chelsea, with Lanre Olusekun of Revere elected as Vice President, Louis Ciarlone of Revere elected as Treasurer and Angie Catrone of Revere as Clerk. CAPIC’s Executive Director Bob Repucci presented the 51st Annual Report to the Corporation and highlighted the accomplishments of the year, which included providing comprehensive support services to over 13,000 persons. In the Awards segment of the meeting, the Agency recognized employees who completed various years of service, which included: 5 Years: Robert Rock, Bus Driver, Nexi Romero, Child Development Center Teacher; 10 Years: Angela Baez, Child Development Center Teacher; 15 Years: Walkiria Davila, Child Development Center Receptionist, Nancy Galeas, Child Development Center Teacher, Julie Lopilato, Child Development Center Lead Teacher, Lillian Rodriguez, Child Development Center Lead Teacher, Maricza Santizo, Child Development Center Assistant Program Director, Karen Verde, Child Development Center Teacher; 20 Years: Anthony Letizia, Energy Program Manager, Patricia Moore, Head Start Lead Teacher, Lee Nugent, Responsible Payee/Emergency Services Program Director, Cynthia Chipman, Head Start Lead Teacher, Sandra DeAmelio, Head Start Lead Teacher, Rosa Valenzuela, Head Start Assistance Teacher, Angela Wesley, Head Start Assistance Teacher; 25 Years: John Letizia, Director of Finances, Joanne Stone-Libon, Head Start Director, Kerry Wolfgang, Director of Planning, Development, & Operations; and 30 Years: Debra Nelson, Purchasing Coordinator. 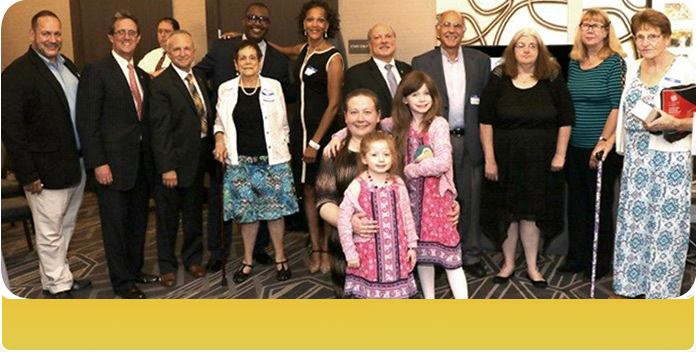 CAPIC’s Annual Emerline Cromwell Memorial Scholarship went to Gloria Valentin of Chelsea, with the Annual Rose and Virginia Mikaelian Memorial Scholarship going to Gerald Jean Charles of Revere. The annual William R. Restuccia Memorial Scholarships were awarded to CAPIC Employees Silvia Perez and Nexi Romero. 2017 Community Awards were presented to Gerry McCue of the Chelsea Public School Department; Global Oil (Sean Driscoll on behalf of Eric Slifka, CEO), and Richard Antonellis, Jr., Business Agent of Local 103 IBEW (Louis Ciarlone accepted on behalf of Richard Antonellis, Jr.) for their dedication and continued support of the local community and individuals and families in need. CAPIC is grateful for their compassion and active role in working to improve the quality of life for all residents. On, September 17, 2018, CAPIC Emergency Program staff joined other concerned agencies, the Revere Police Department, Revere Public School Department personnel, Speaker of the House Robert DeLeo, Mayor Arrigo, as well as other local government representatives at the Revere High School Auditorium to provide immediate relief to victims of the Franklin Avenue. The fire left approximately 100 people homeless. 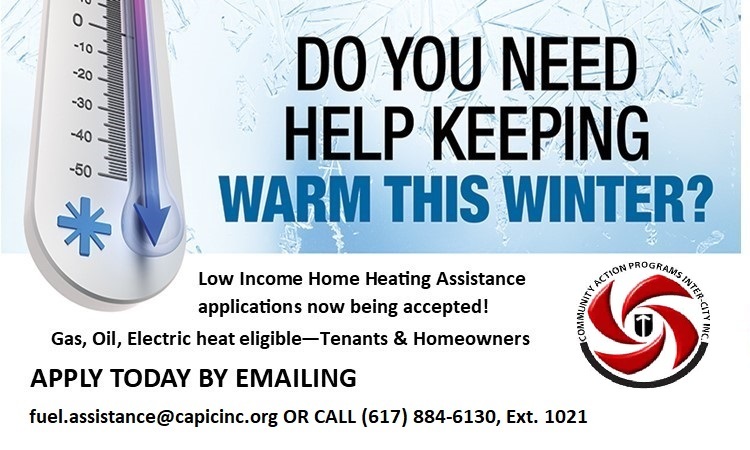 CAPIC is currently working to provide direct support services to those in need. To date, CAPIC has provided 12 families with temporary housing/shelter and 30 individuals/families with gift cards to purchase food and basic necessities. CAPIC is also providing clothing and other donated items to fire victims. If you would like to make a donation please contact Lee Nugent, Emergency Program Director at 617-884-6130, ext. 104.